Windows Defender is a built-in antivirus program for Windows 10 that helps keep your computer safe from virus, spyware and other forms of malware. 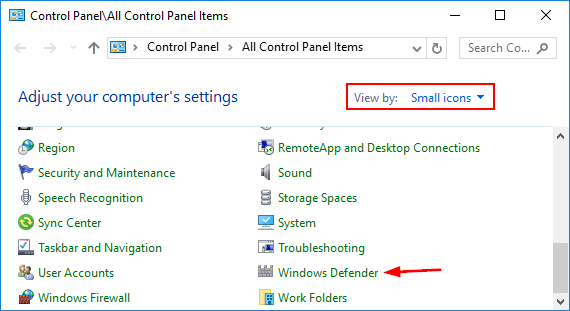 In this article we’ll show you 5 quick ways to open Windows Defender in Windows 10. Open the Control Panel and set the View by option to Small icons. 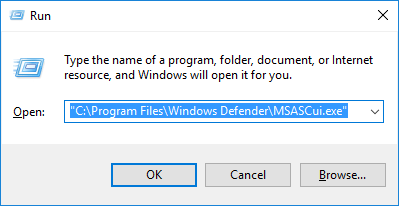 Click Windows Defender to launch the application. 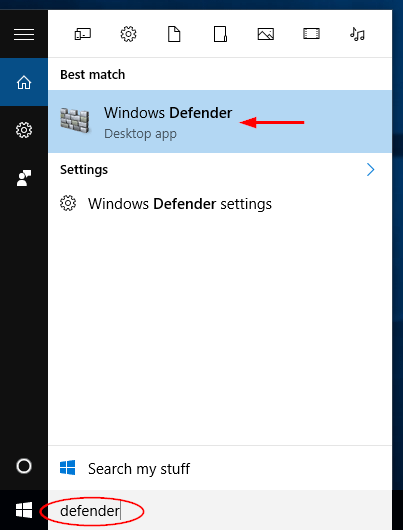 Click the Cortana Search box on the taskbar, type defender and then click Windows Defender from the results window. Click the Start button and select “All apps” at the bottom to see all apps and programs listed alphabetically. Look for the Windows System folder and expand it. From there you can access Windows Defender. 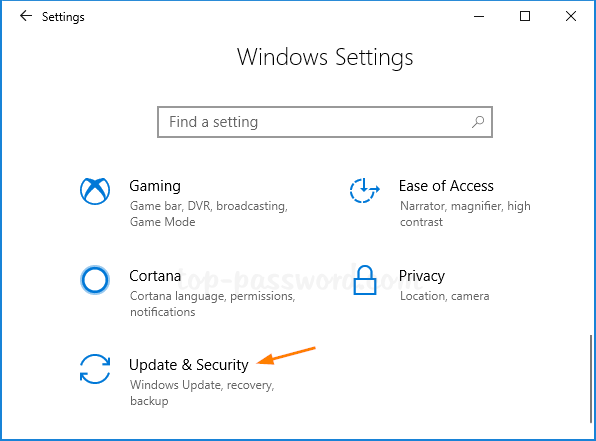 Press the Windows key + I to open the Settings app. Click Update & Security. 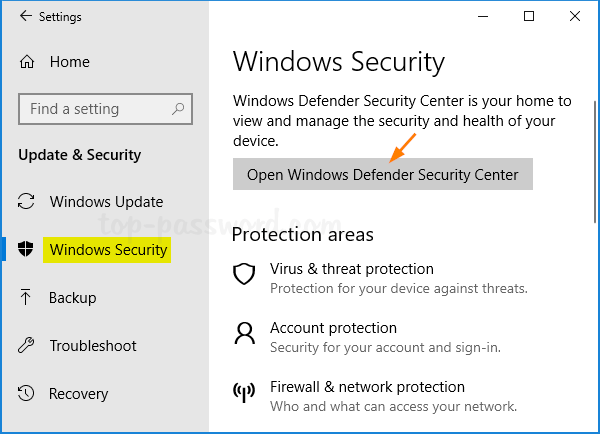 Click the Windows Security tab on the left side, then click the Open Windows Defender Security Center button from the right side. 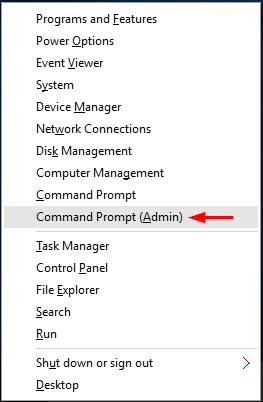 Or type the above command at the Command Prompt and press Enter. This will also start Windows Defender. Every time you turn on your computer, Windows plays a welcome sound when the login screen loads up. If you feel the startup sound is boring or just annoying, you can turn it off easily. 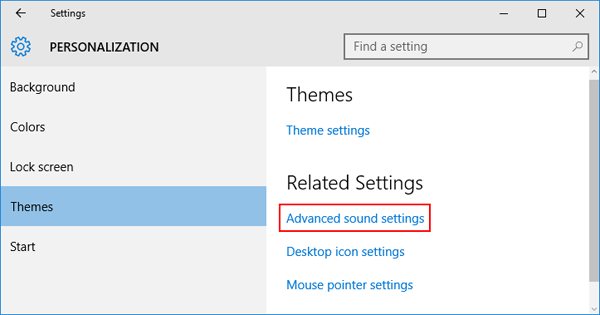 In this article we’ll show you how to turn off / disable the startup sound in Windows 10. How to Turn off Startup Sound in Windows 10? 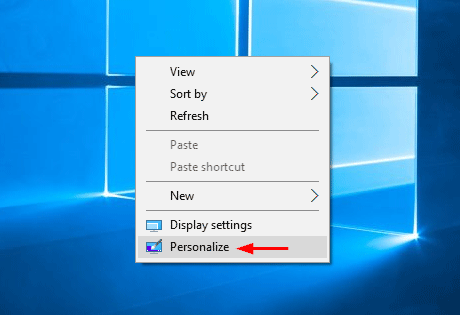 Right-click any empty area of your desktop, and then click Personalize. When the Settings app loads up, click the Themes tab on the left, and then click the Advanced sound settings link on the right side. From the Sounds Settings window, click the Sounds tab, uncheck “Play Window Startup sound” as shown in the screenshot below and click OK. If you want to access the Sounds Settings window directly, just press the Windows key + R and type mmsys.cpl in the Run box. 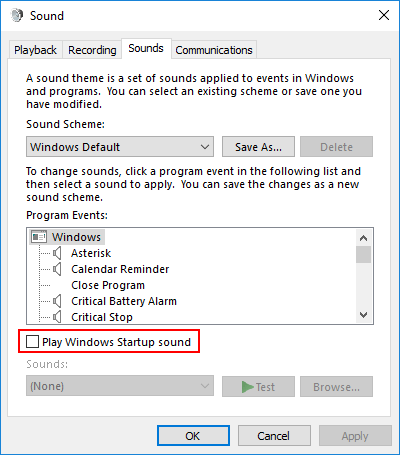 To turn on the startup sound again, you can re-check the “Play Window Startup sound” option. Despite Microsoft Edge becomes the new default browser in Windows 10, Microsoft has not removed Internet Explorer from the latest operating system. But you’ll find a bit difficult to locate and run Internet Explorer. 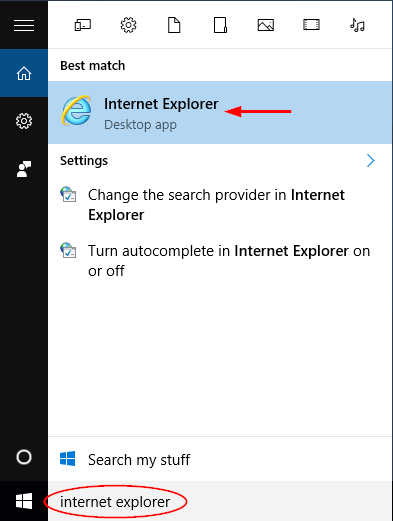 In this article we’ll show you 4 ways to start Internet Explorer in Windows 10. 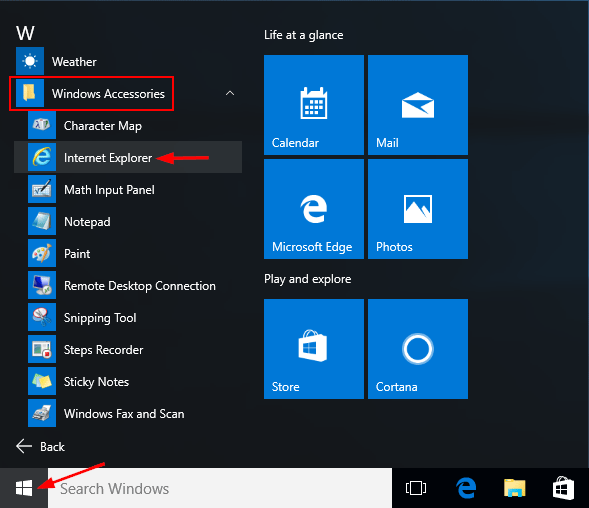 Click into the Cortana Search box on the taskbar, type internet explorer and press Enter. You can access Internet Explorer from the search result. 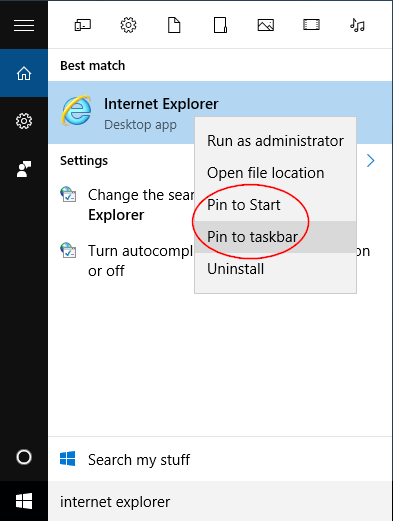 If you want to open Internet Explorer frequently, right-click on the Internet Explorer from the list and you can pin it to the taskbar or the Start screen. Click the Start button. When Start Menu appears, click All apps, then expand Windows Accessories and click Internet Explorer. Press the Windows key + R to open the Run box. Type iexplore and press Enter. This will open Internet Explorer quickly. Open Microsoft Edge and navigate to the desired webpage. 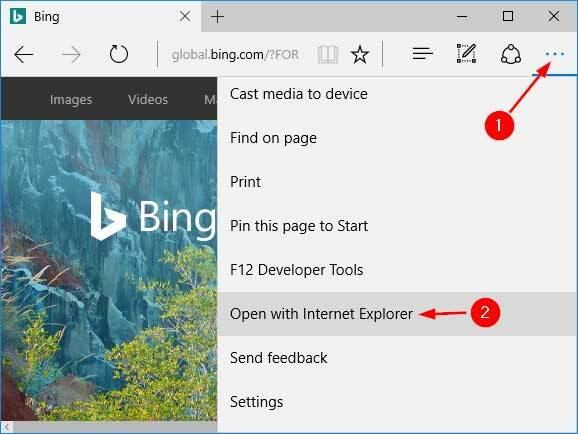 Click the three dots button at the top-right corner of the Microsoft Edge window, and then select Open with Internet Explorer. Microsoft Edge is the new default web browser in Windows 10. It’s clean, fast, and more intuitive than Internet Explorer. 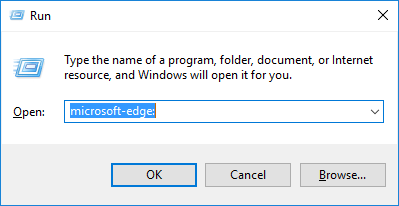 In this article we’ll show you 4 ways to open Microsoft Edge in Windows 10. By default, the Microsoft Edge shortcut is pinned to Windows taskbar. Just click the Microsoft Edge icon and you can launch Edge browser immediately. 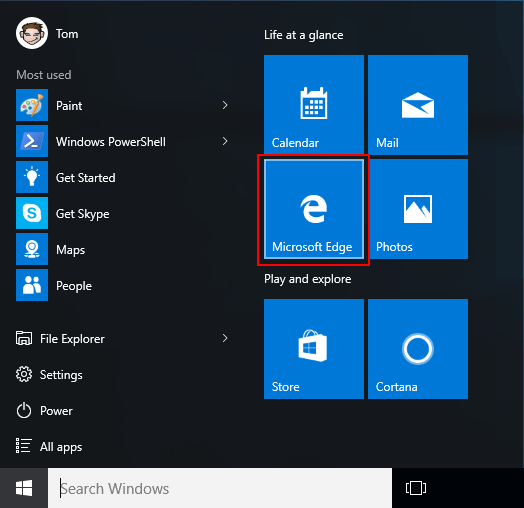 Click on the Start button, then click the Microsoft Edge tile shown at the right panel of the Start Menu. 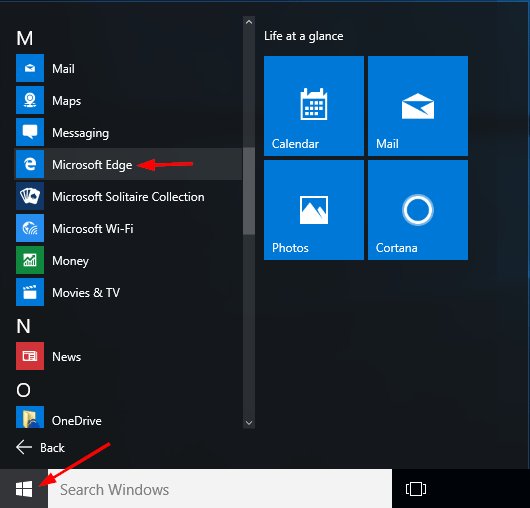 If Microsoft Edge is not shown there, click the All apps entry on the left side of Start Menu. Scroll down to select Microsoft Edge. 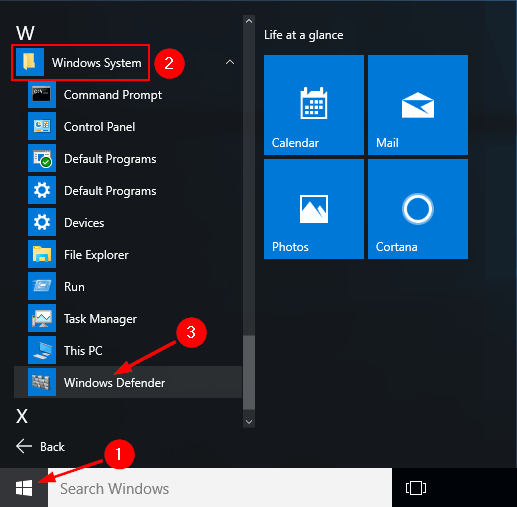 Click the Cortana Search box on the Windows 10 taskbar. 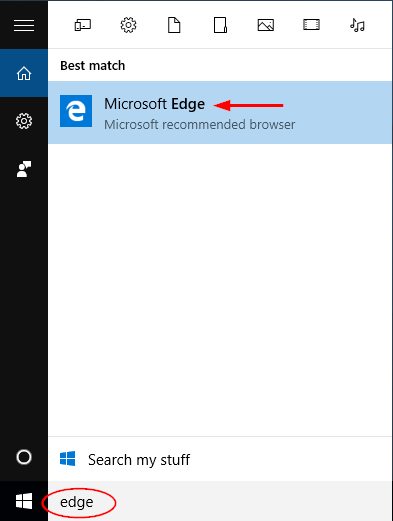 Type edge and you can access Microsoft Edge from the search results. Press the Windows key + R to open the Run box. Type microsoft-edge: and press Enter. This will launch Microsoft Edge instantly. 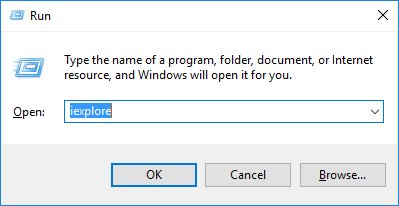 If you’re at the Command Prompt or PowerShell, just type start microsoft-edge: and press Enter. This will automatically open Edge with your desired website. It’s a good idea to put Windows in the energy-saving mode (Sleep or Hibernate) when you’re away from your computer. However, most of users don’t know the exact differences between Sleep mode and Hibernate mode. In this article we’ll try to explain the differences in detail. Sleep mode (also known as Standby mode) is useful when you’re going to be away for a short period of time. It’s similar like pausing a DVD movie, all your running programs are suspended. The computer immediately stops most system operations and your open documents and applications are put in the RAM. Power is cut from all components apart from RAM: the display, the hard drive, and ports. 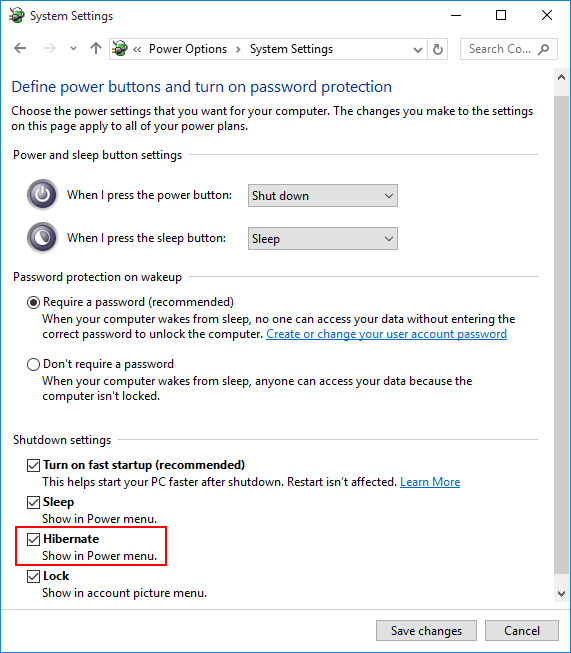 However, the power must NOT be cut off while your PC is in Sleep mode, and must be continue to supply to the computer. A power outage would cause all data that aren’t saved to hard disk to be lost. When you wake the computer up, all processes and programs resume working within seconds. This is because your computer is still on and all your data is still kept in the computer’s memory. Hibernate mode will take everything you have running on RAM (including open documents and apps) and saves it to a special file (C:\hiberfil.sys) on your hard drive, and then turn off your computer completely. That means it consumes almost no power, but it takes a bit more time to wake up than Sleep mode. When you wake your computer from hibernation, the system will load everything saved in the hiberfil.sys file and all programs you had open will reopen in the same state you left them. Hibernation is ideal for users who would be away from the computer for an extended period, especially when you have to cut off the power to travel but want to continue working from where you left off, without having to open your programs and documents again. 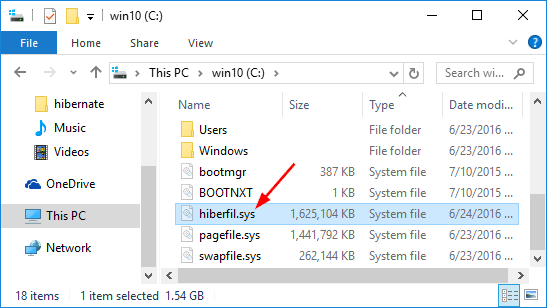 The downside of Hibernate is that it will take up a huge amount of disk space because it saves the full memory of the RAM into hard drive, you can see a gigantic hiberfil.sys file sitting in the root of your system drive. Now you should have found out the main differences between Sleep mode and Hibernate mode. It’s up to you to decide which option is best for you to save power for your computer. 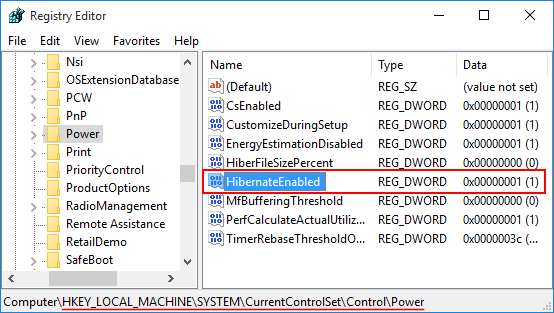 In Windows 10, Hibernate mode is disabled by default. When you click the Start button, only Shut down, Restart and Sleep options are shown in the Power Options menu. 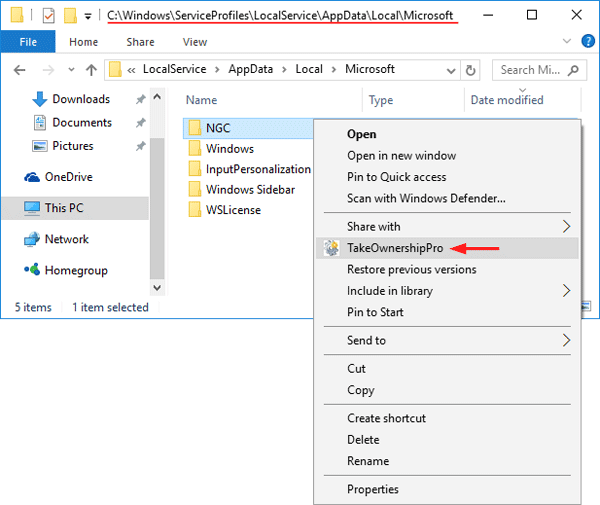 In this tutorial we’ll show you 2 methods to add the missing Hibernate option to the Start Menu and Power User menu in Windows 10. 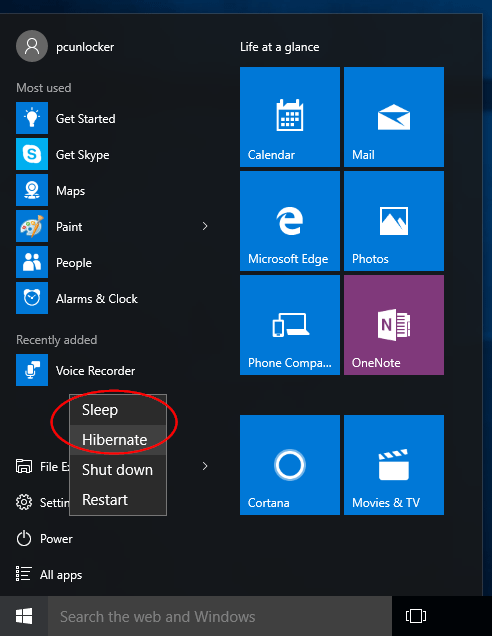 Before getting started, make sure you have enabled Hibernate mode in Windows 10. If Hibernate mode is disabled, the following methods still couldn’t bring the Hibernate option back to the Start Menu. Select “Choose what the power buttons do” from the left side of the window. This will open the System Settings window, where many options are greyed out. You have to click “Change settings that are currently unavailable“. 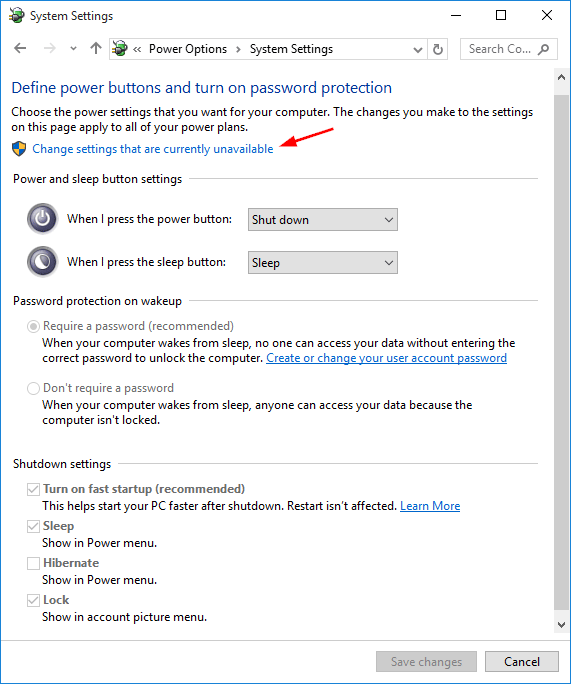 Scroll to the bottom of the window, until you find the Shutdown settings section. Now check the Hibernate checkbox and click Save changes. 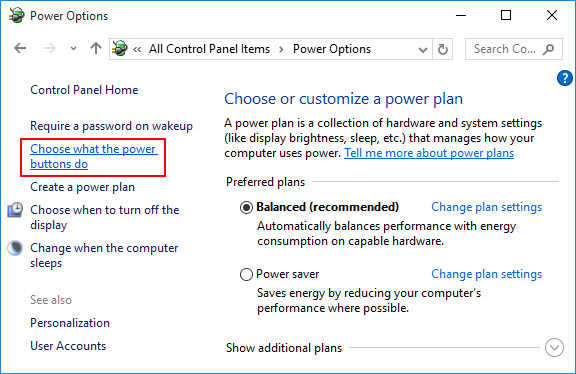 Now open the Start Menu and click Power, you can see the Hibernate option in the Power menu, next to Shut down, Sleep or Restart. 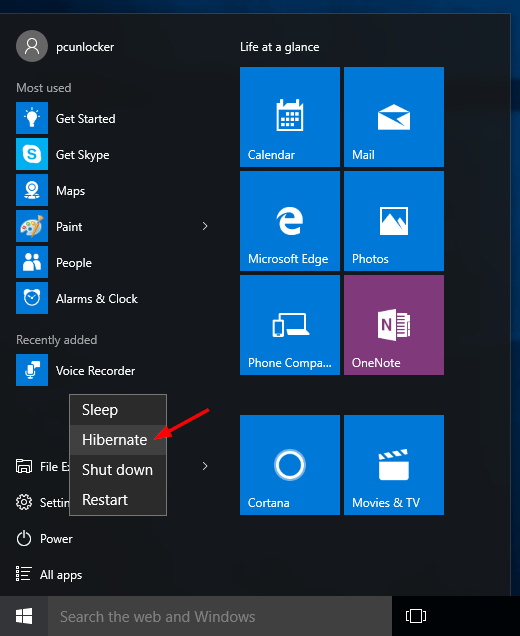 You can also access the Hibernate option by pressing the Windows + X (or right click on the Start button) and selecting Shut down or sign out. 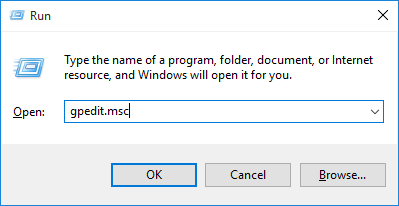 Press the Windows logo key + R to open the Run box. Type gpedit.msc and press Enter. Double-click on the “Show hibernate in the power options menu” policy on the right panel, and set it to Enabled. 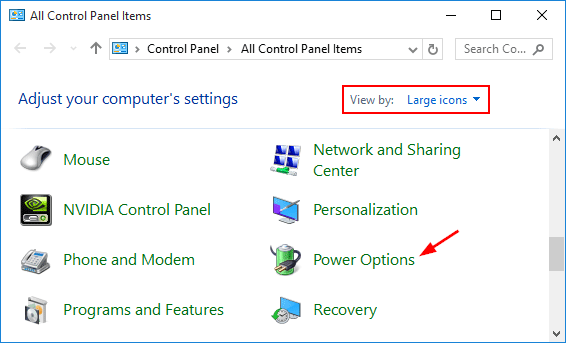 Close Group Policy Editor and you’ll see the Hibernate option back in the Power Options menu of Windows 10 Start Menu. 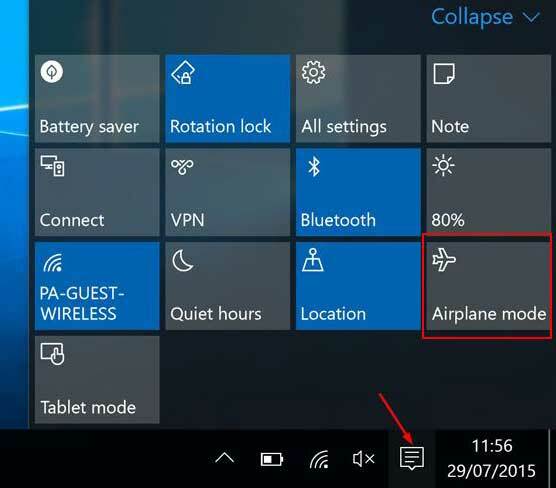 Airplane mode (also known as flight mode) allows you to turn off all wireless communications (Wi-Fi, Bluetooth, GPS) on your PC. During a flight, you’ll be requested to turn off your computer or switch to Airplane mode to prevent any any possible interference with the airplane’s communication and navigation systems. 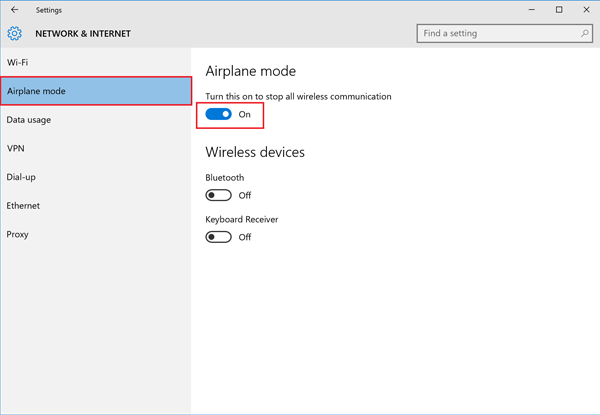 In this tutorial we’ll show you 2 simple ways to turn on or off Airplane mode in Windows 10. Press Windows + A on your keyboard, or click on the Action Center icon (square box with three lines) from the system tray. Expand the Quick actions section. If the Airplane mode icon is darker than the other icons, airplane mode is disabled. Click on the Airplane mode button to turn it on or off. Click the Start button and select Settings, or press Windows + I on your keyboard. 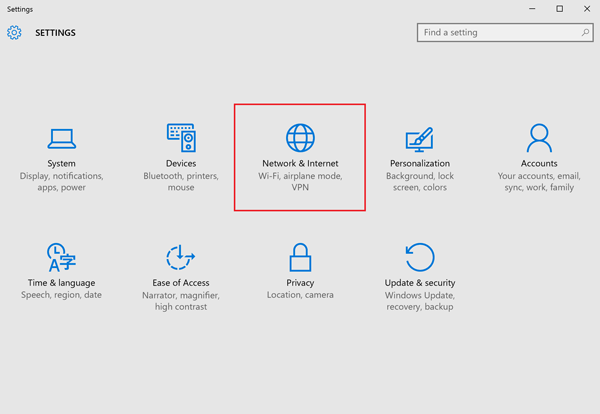 Once the Settings app is launched, click on Network and Internet. Click on Airplane mode on the left side, and you can then turn on or off Airplane mode on the right side. By default, Windows 10 stores the PIN logon credentials in the directory C:\Windows\ServiceProfiles\LocalService\AppData\Local\Microsoft\NGC. 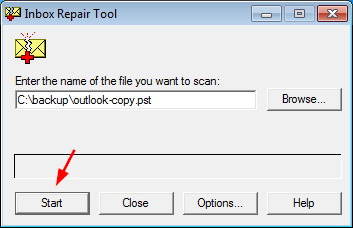 If the NGC folder is corrupt, the system will refuse you to change PIN. While you’ll not be allowed to add/create a PIN when the NGC folder is missing. Before getting started, you need to configure Windows to show hidden files as the AppData folder is hidden by default. 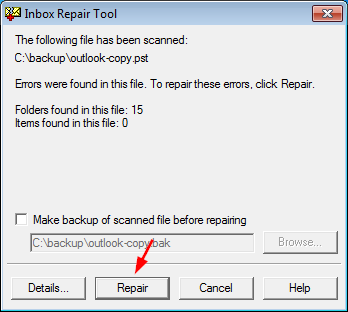 After taking ownership, delete all subfolders and files under the NGC folder. But do NOT delete the NGC folder itself. Instead, if the NGC folder doesn’t exist, you need to create an empty folder and named it NGC. 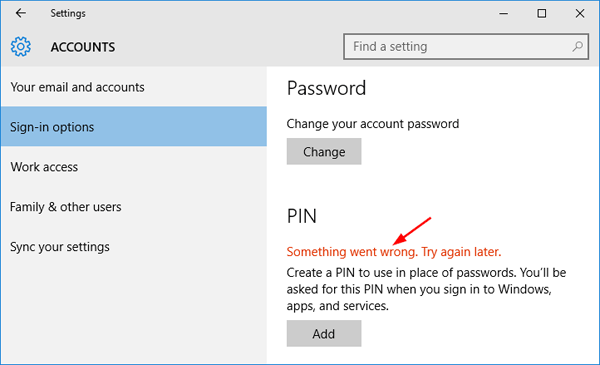 Now open the Windows 10 Settings app -> Accounts -> Sign-in options, your previous PIN logon should have been erased and you can create a new PIN, and then change PIN normally. 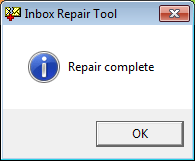 Everything is working fine, consequently the error of “Something went wrong. Try again later.” would disappear as well.